Did your dental crown crack, bust, or chip? Here at Belvedere Family Dentistry in Charlotte, North Carolina, we’re more than capable to fixing your broken crown. In think article we are going to be discussing how your dental crowns crack and what do to when it happens. If you got into a fight and you got sucker punched in the face. You could have fallen down on some stairs, or the ground. Grinding your teeth or clenching your jaws. You could have it cracked due to normal wear and tear. If you bit down on something that was really hard. We can’t always avoid getting hit in the face or tripping and falling down, but to help prevent your crown from cracking, try to be careful when you are opening a bag of snacks or if you use your teeth to open a bottle of soda. Clenching and grinding usually happens while we’re asleep so we can suggest that you wear a mouth guard while your sleeping to avoid your crowns from cracking. When your dental crown cracks, you will need to call us and make an appointment so we can repair your crown. Depending on how bad your dental crown is cracked you might need to wait 2-3 days for it to be restored. While your crown is being repaired you may have an increased sensitivity to hot or cold substances if your tooth pulp was affected. You will need to look at the crown and check if any pieces are missing or dislodged. You an also try to pull your crown out if it is loose enough so you will not accidently swallow it. Be sure to rinse your mouth out with warm water after you remove your dental crown. if your gums are bleeding, from the chipped tooth, you can use some gauze and apply some pressure to stop the bleeding. If you won’t be able to come and see us on the same day that your dental crown cracked then we suggest that you go to your local drug store and buy some dental cement and this will protect your tooth until you come into the office. If you have any questions or concerns about dental crown cracks, please don’t hesitate to call us or come by for a visit. Here at Belvedere Family Dentistry in Charlotte, North Carolina take pride in our work and we strive to give you the best care possible. Repairing Chipped Teeth with Dental Restorations Anyone with a chipped tooth wants a repair that leads to a normal appearance and sturdy biting surface. Custom-made dental crowns are the best way to fix damaged teeth to provide a gorgeous smile while making it easy to consume healthy foods such as fresh vegetables and fruit. Finding a dentist in Charlotte NC with an understanding of creating natural looking restorations is imperative when teeth are damaged. 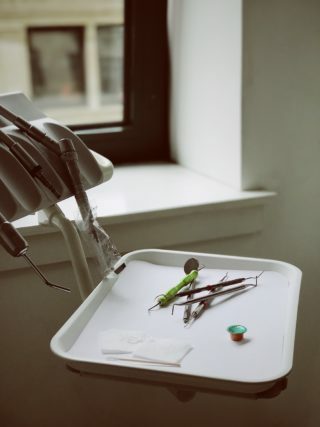 Dentists have different specialties, including the field of cosmetic dentistry that focuses on the appearance of teeth in addition to structural repair. It is simple to find a dental facility that makes restorations by looking online or in telephone directories. When you have damaged or missing teeth your quality of life can suffer greatly. That’s why more and more dentists are now offering restorative dentistry. A smile is your crowning glory. Dental crowns restore teeth to their original shape and size. They will improve the tooth’s appearance and make it stronger. When a tooth has a large filling, the crown is often used to ensure the filling stays in place. This is true of teeth that have a tiny bit of the original tooth left. When teeth are badly discolored or misshapen, a crown is an excellent option that an experienced dentist can give to their patient. Of all the different appliances an experienced dentist can install in your mouth, dental crowns are some of the most versatile. Capable of protecting teeth from a number of different problems and available in all sorts of different materials, crowns are truly the “jacks of all trades” in modern dentistry. The term cosmetic dentistry pertains to the enhancement of a smile through various restorative techniques typically used by local dentist office providers. Although its main focus is on aesthetics, many cosmetic procedures also improve the overall function of the mouth, such as speech patterns and mastication. In addition, a beautiful smile boosts the patient’s self confidence and poise.